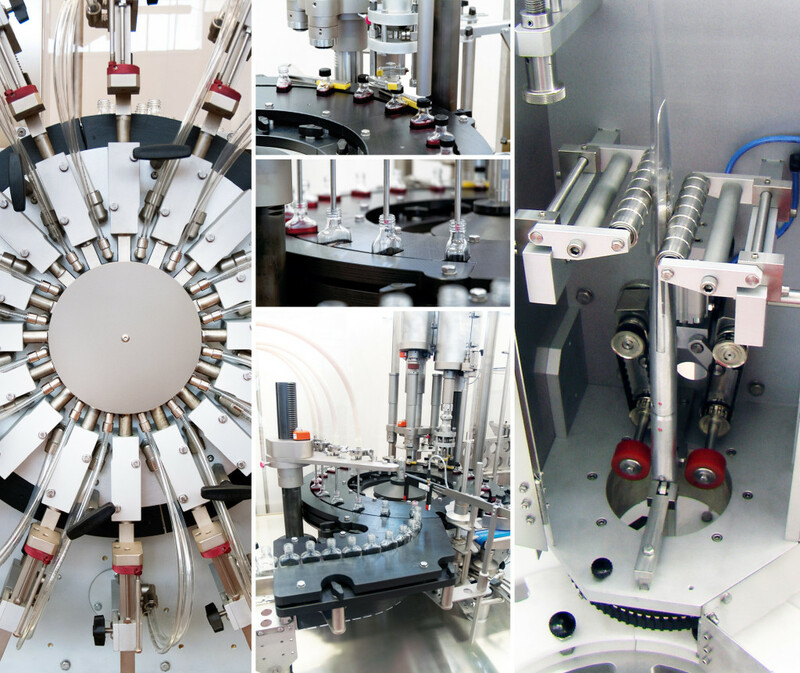 In response to the requirements of top pharmaceutical companies, CAM has designed the high-speed monobloc LR105 for labelling of vials, ampoules, carpules, and syringes. 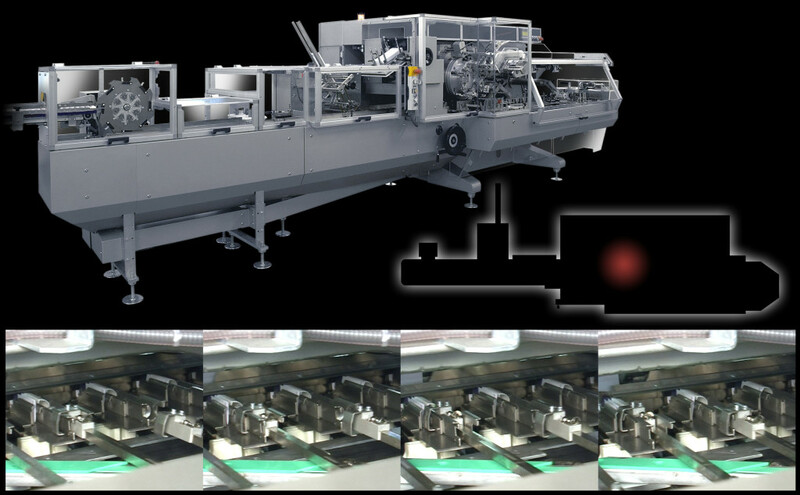 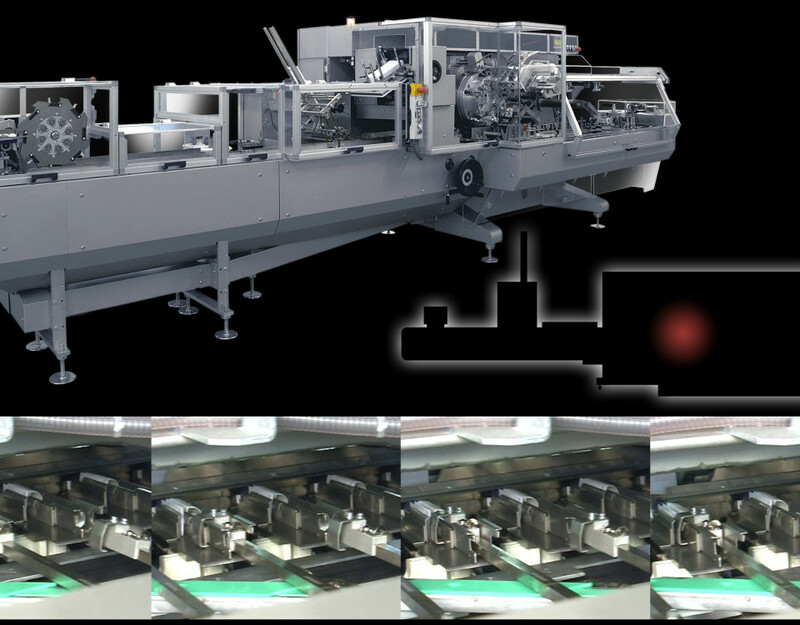 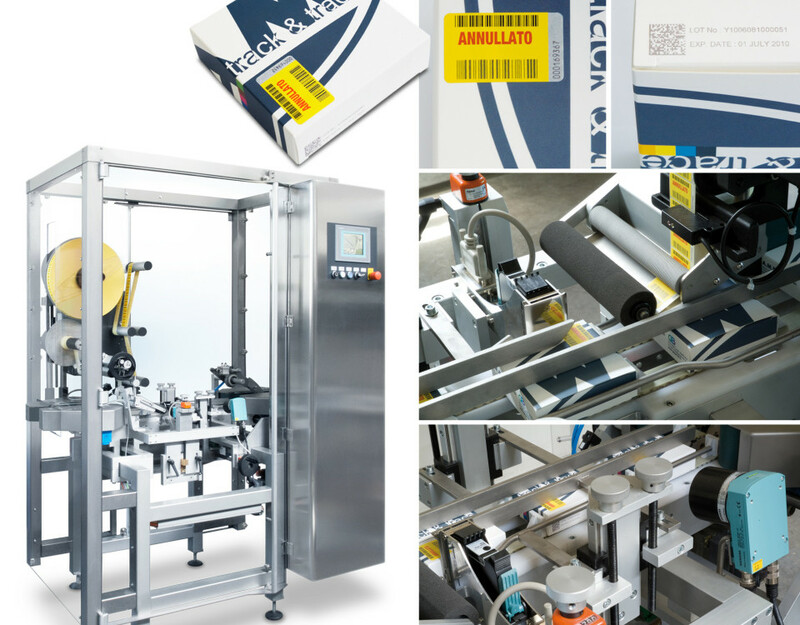 CAM have recently supplied a RM/1, intermittent automatic packaging machine for wallet, with production speed up to 100 wallets per minute. 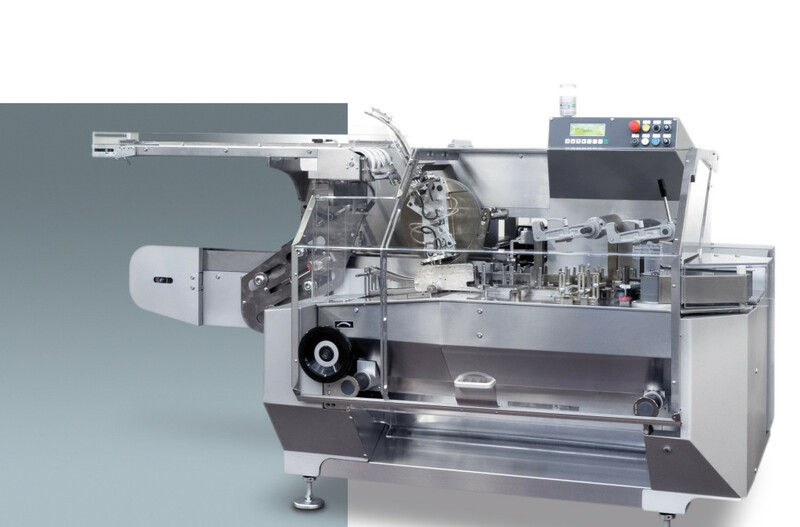 CAM has recently supplied a complete line for packing syrup into glass bottles, one of the most important pharmaceutical manufacturers in South Africa. 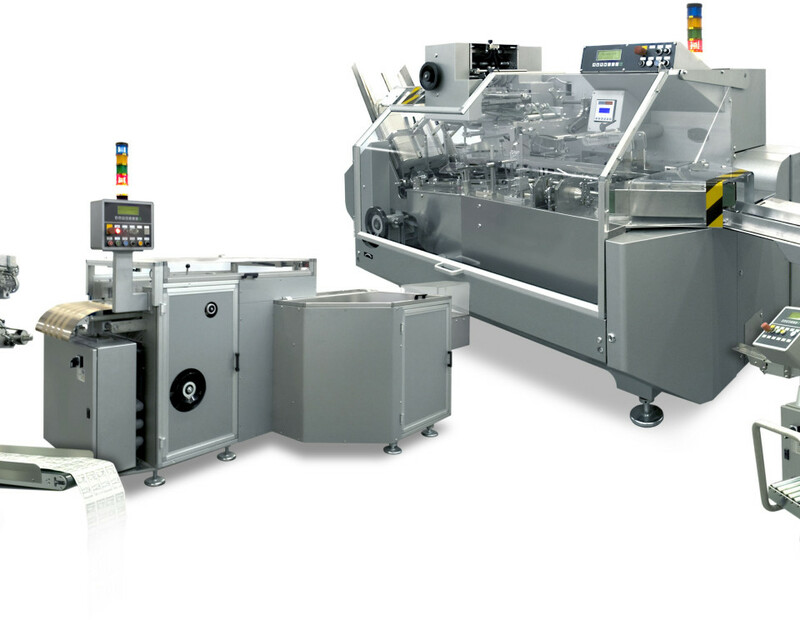 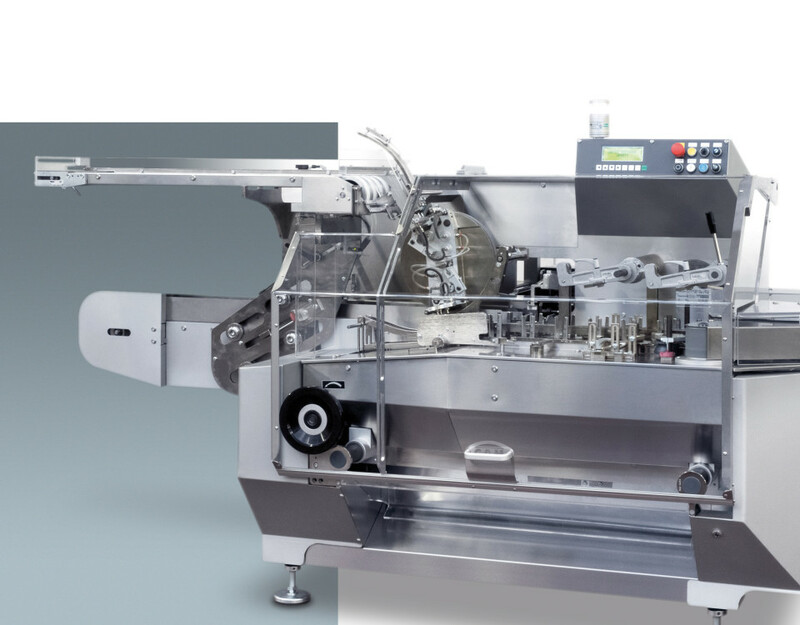 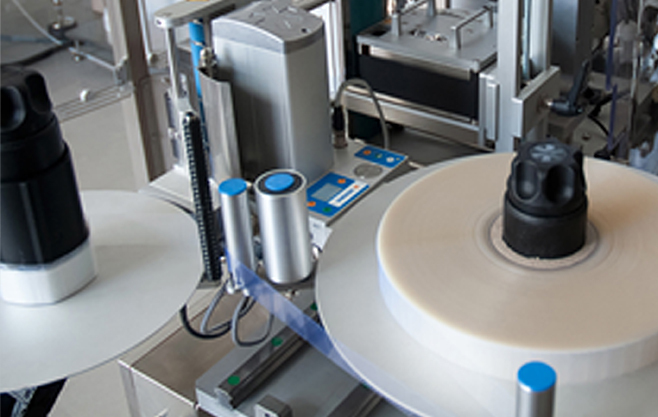 CAM line has been connected by direct link to the blowing filling and sealing machine packing unidose strips. 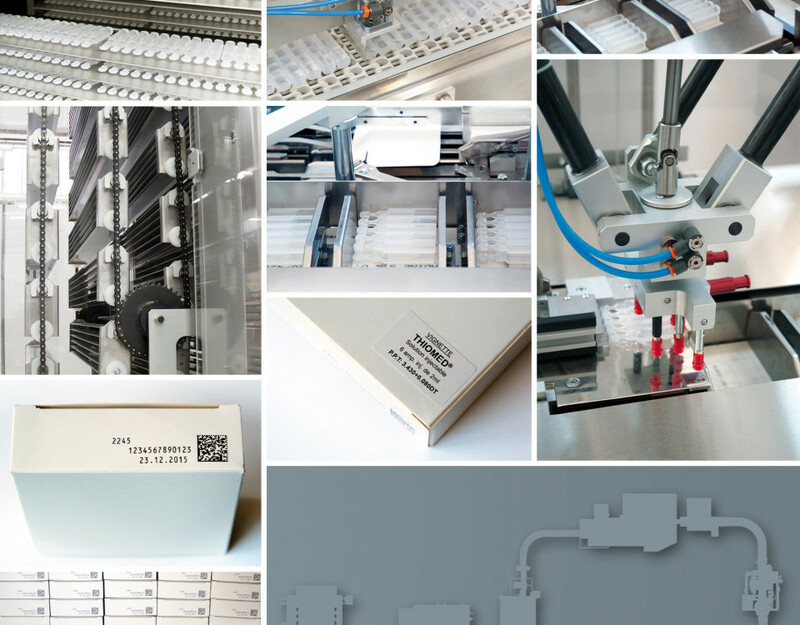 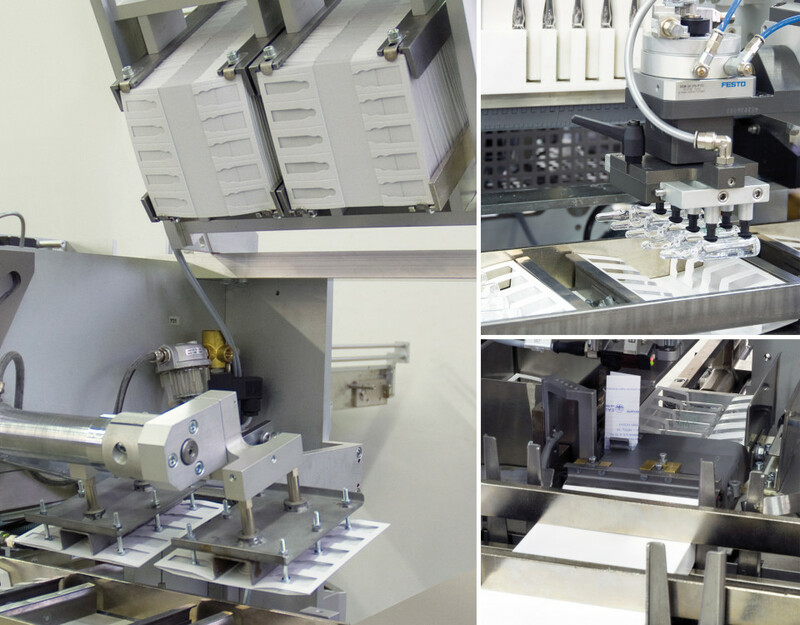 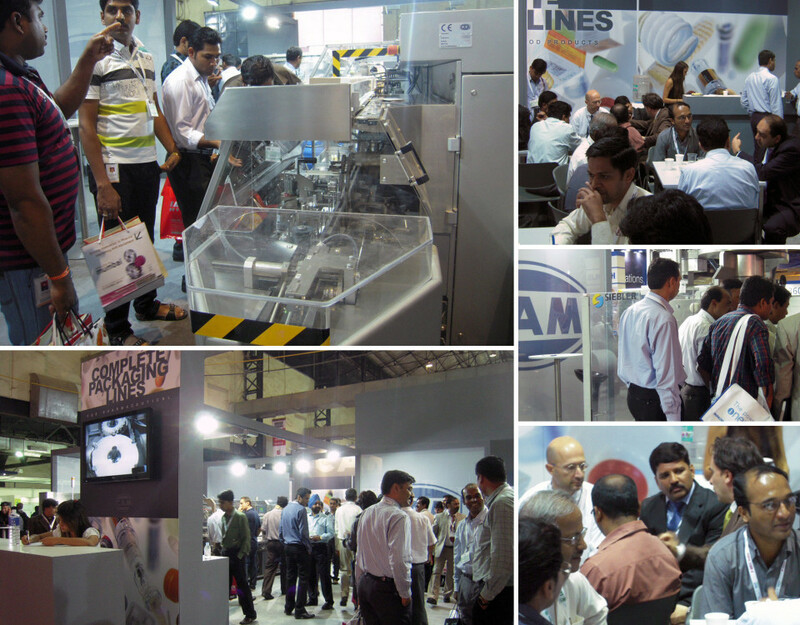 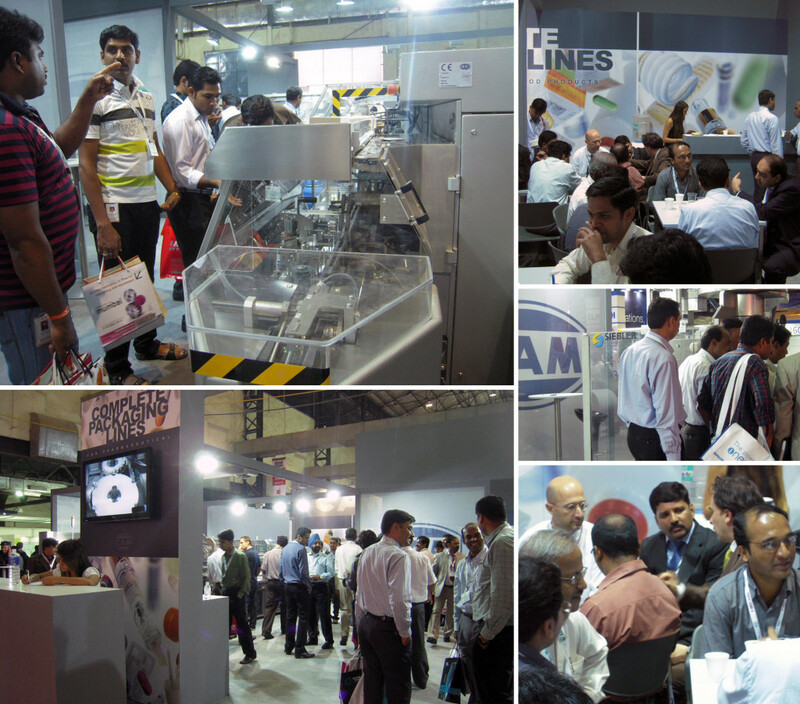 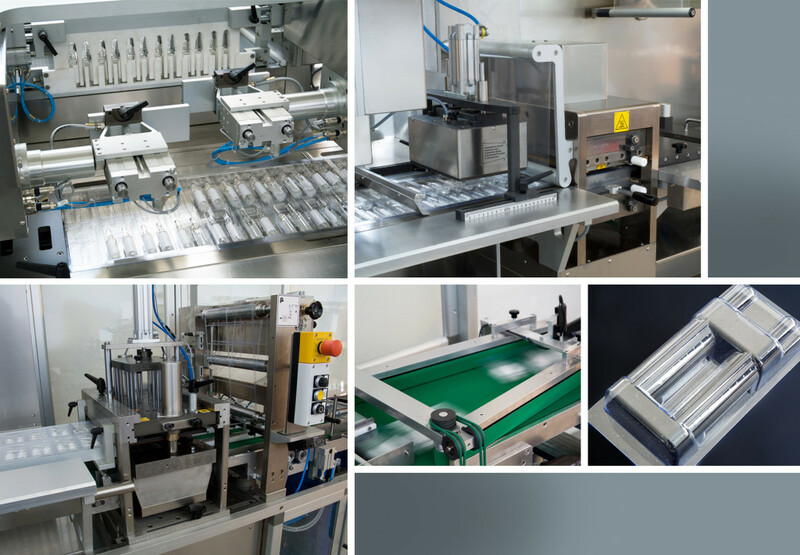 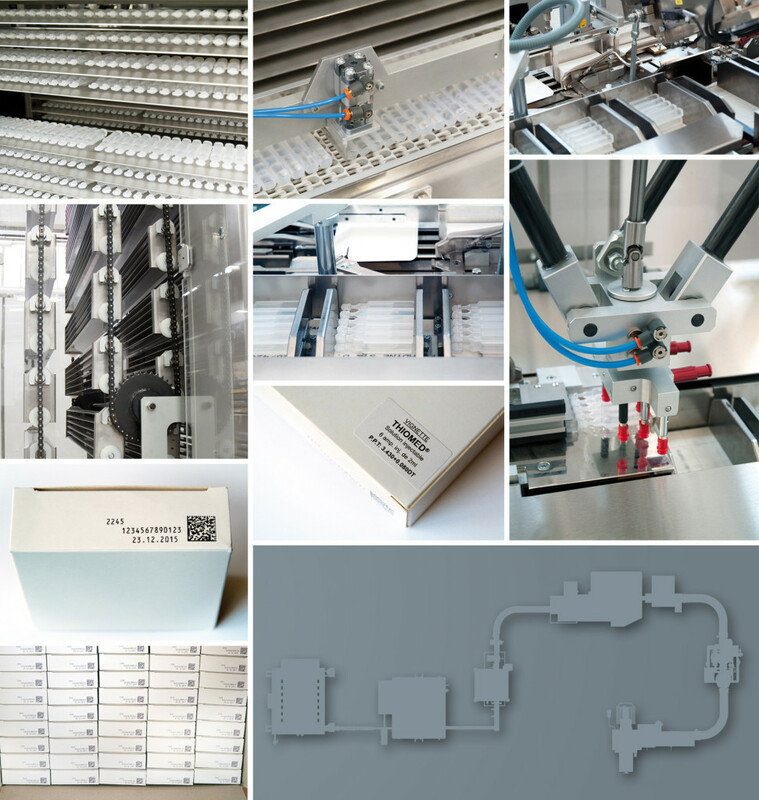 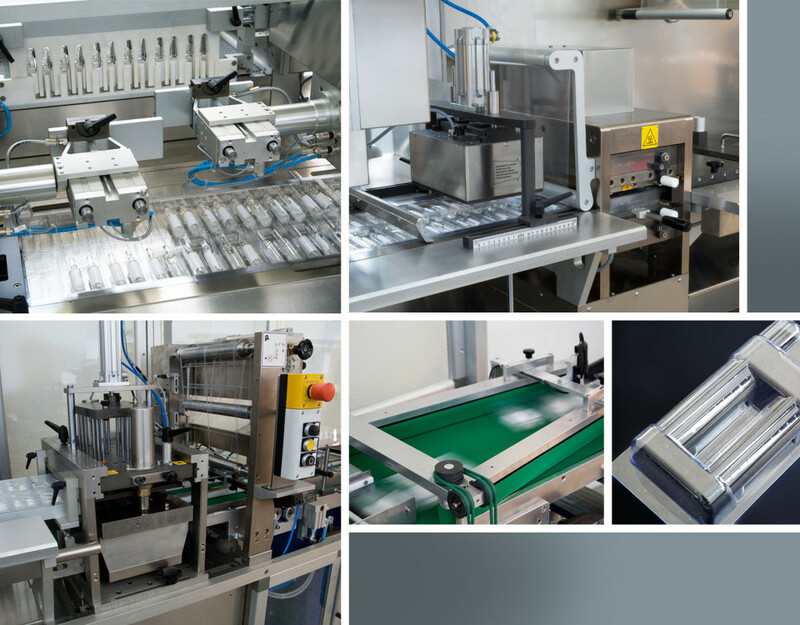 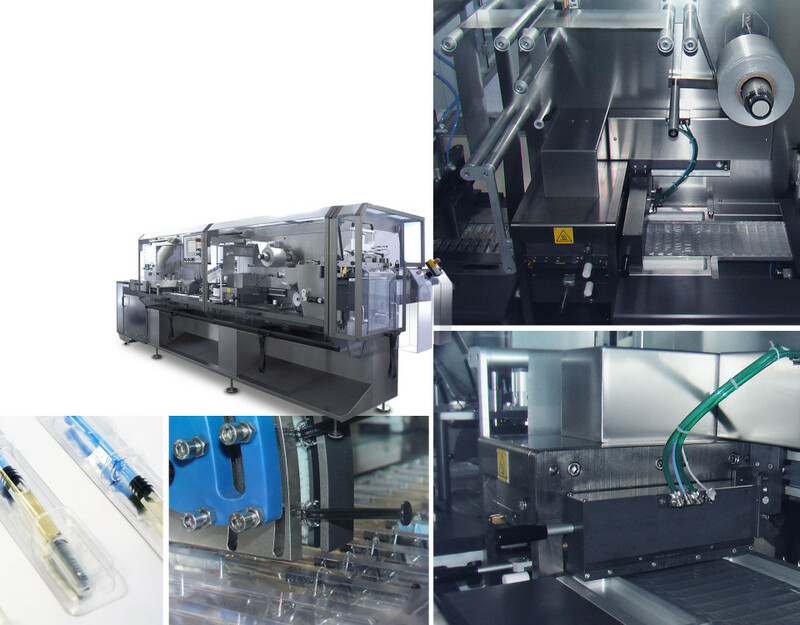 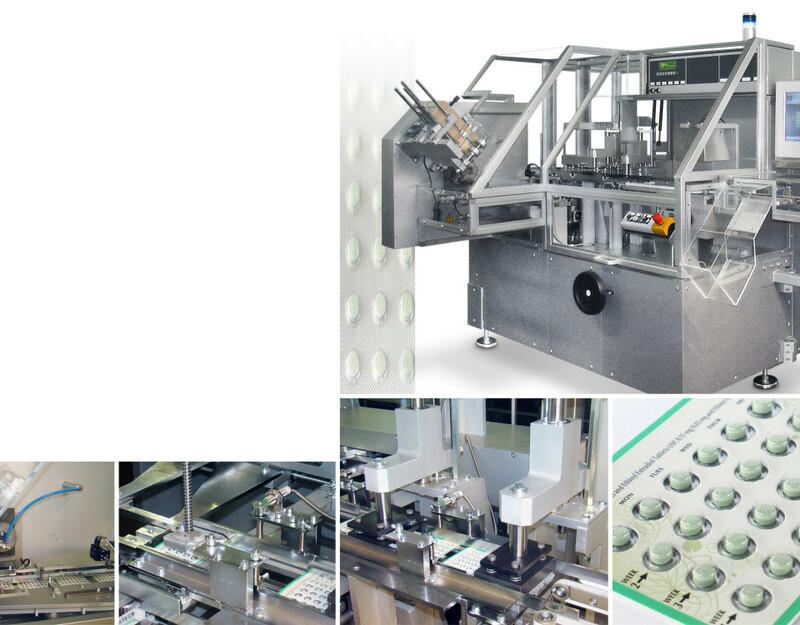 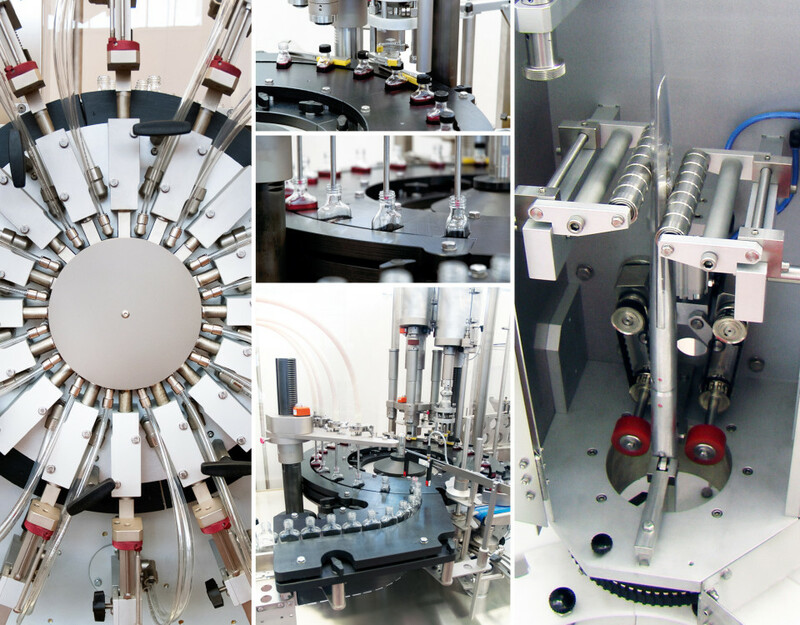 Cam widen their range of thermoforming machines with model nMXF for vials and ampoules. 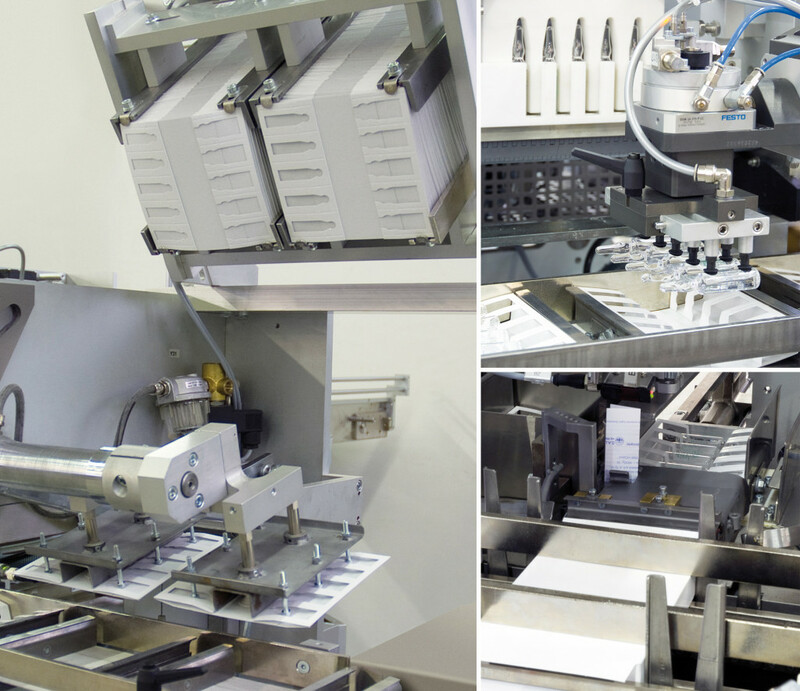 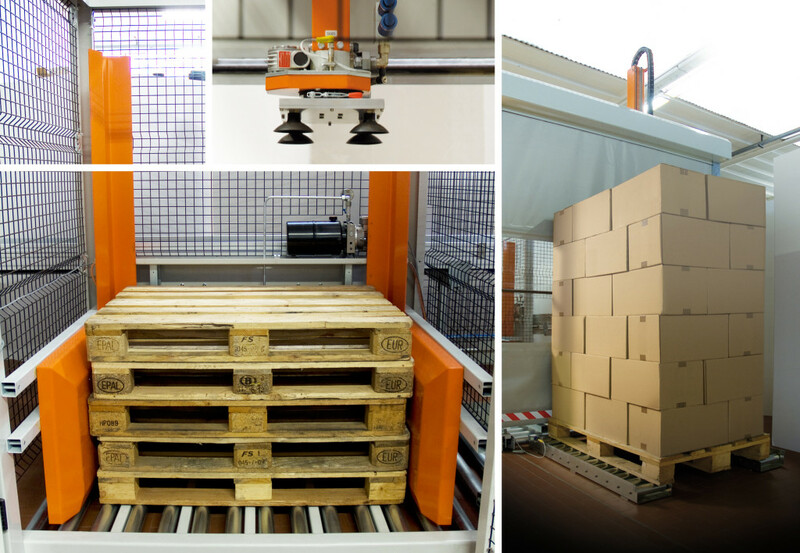 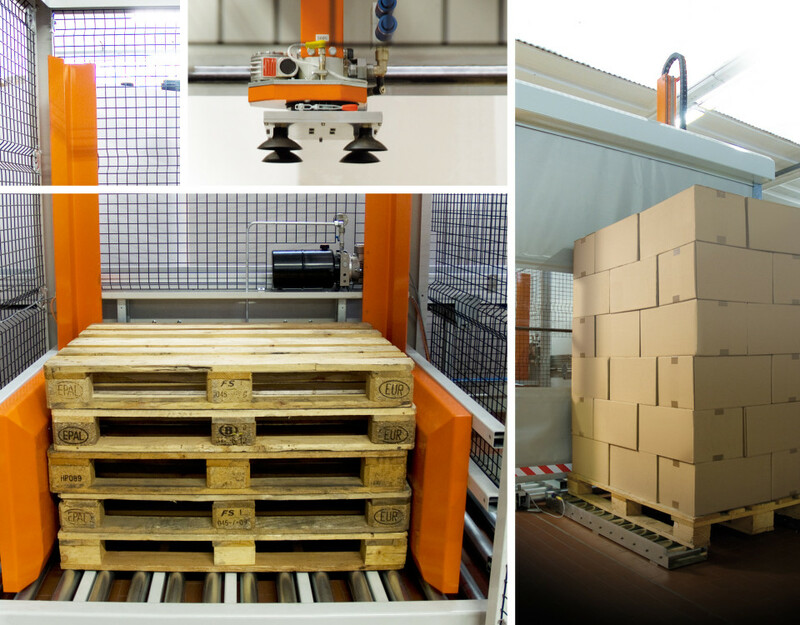 Due to their vast experience in handling cardboard packaging materials and in collaboration with carton manufacturers, CAM have developed a simple, cheap and environmentally-friendly type of tray for ampoules. 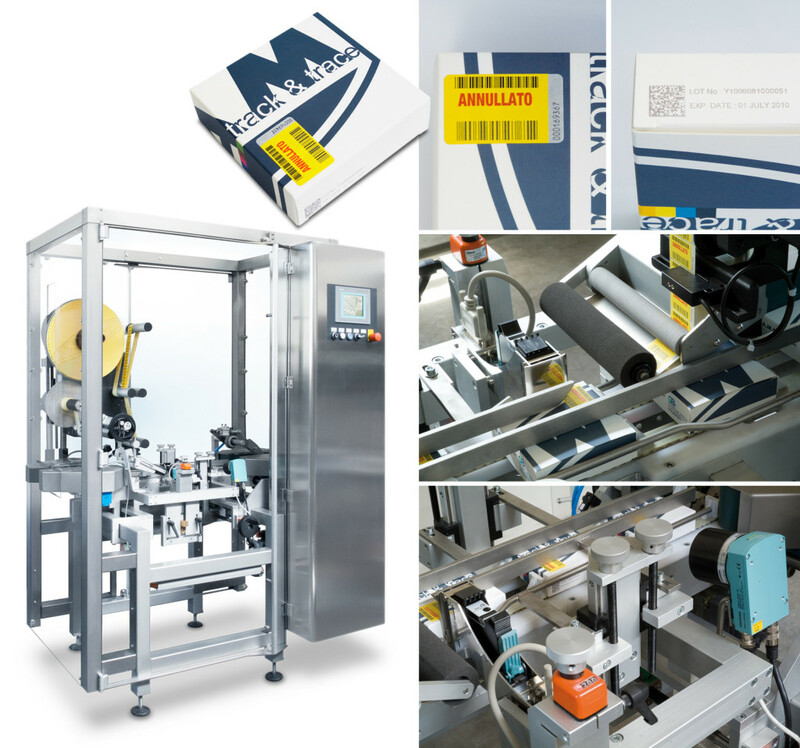 Model nMX/S. 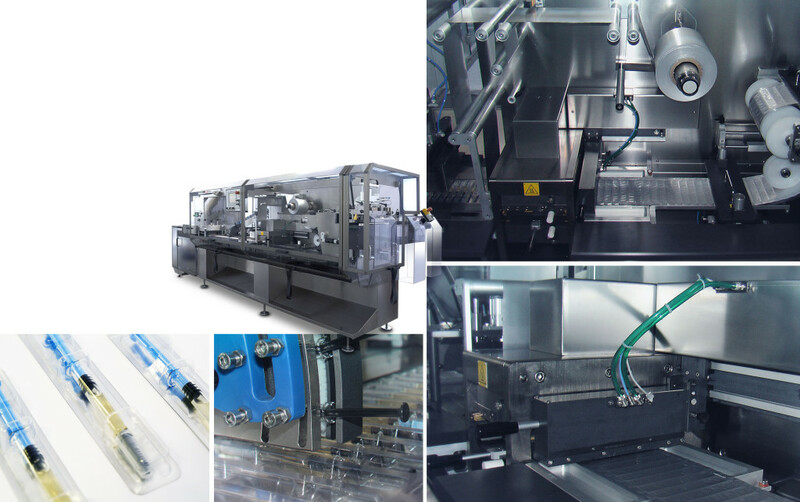 nMX/S is a thermoforming machine for syringes with web mechanical transfer by means of 4 grippers and the cutting station that minimizes material scrap and assures considerable cost saving. 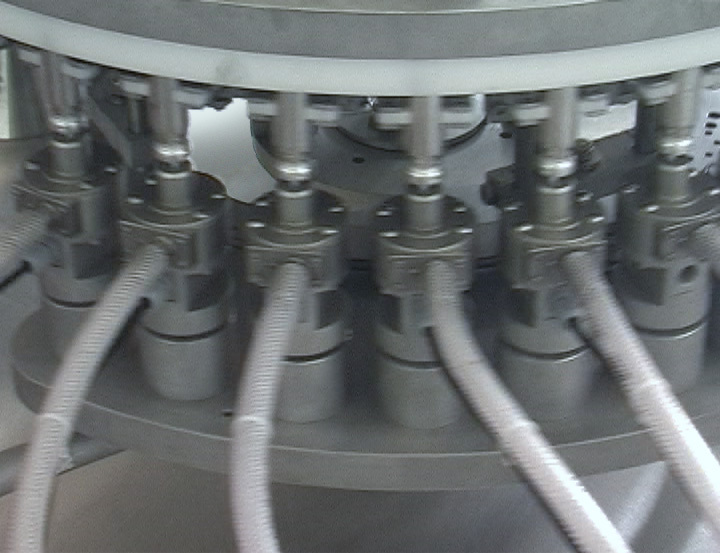 New mechanical positive inhaler assembly system with overload control and related machine stoppage. 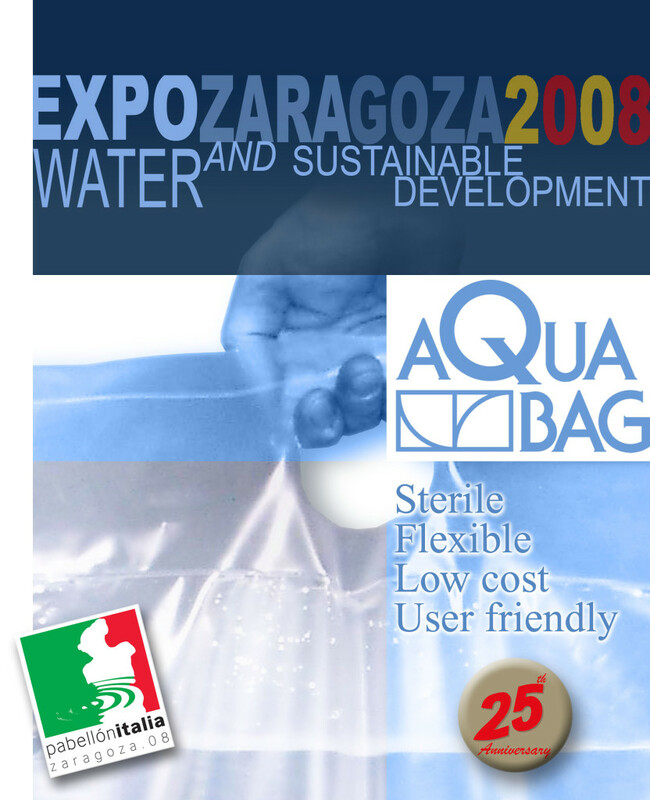 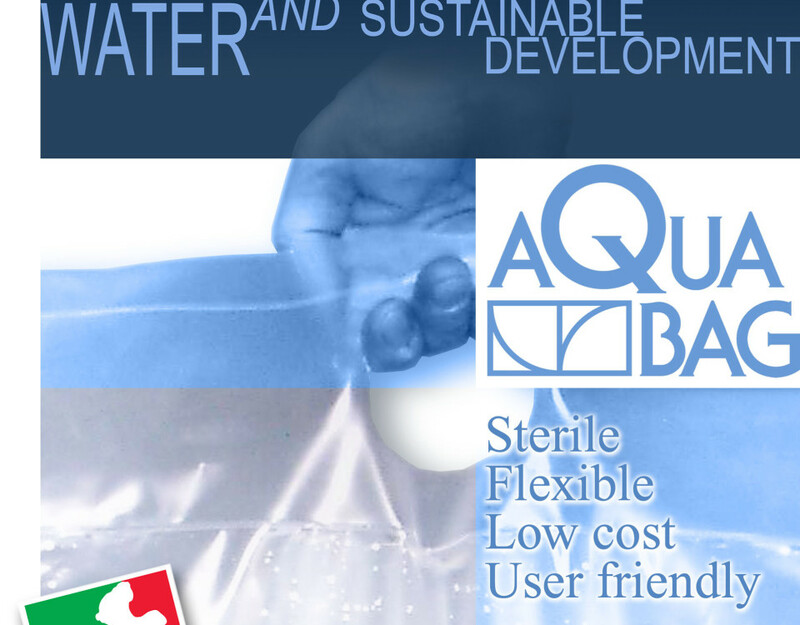 WHY AQUABAG In any disaster area where normal water supplies are interrupted or cut off, Aquabag is the fast, economical method to supply drinking water where it is most needed. 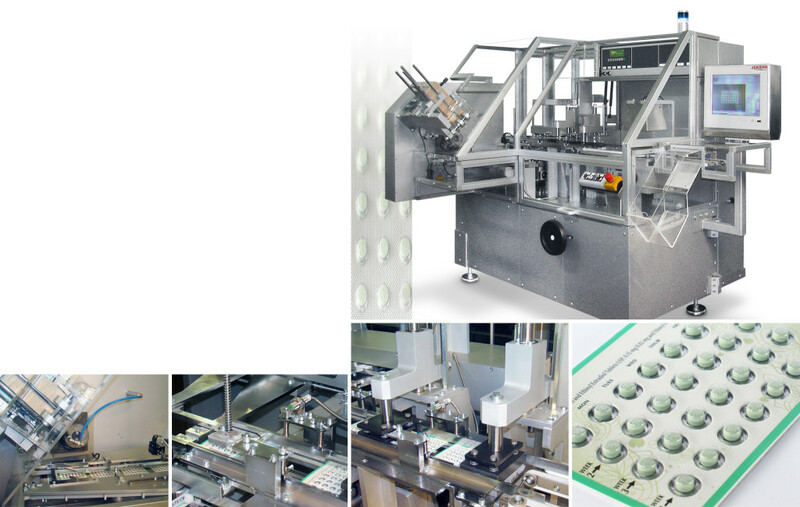 Sachet packaging line, for pharmaceutical industry, to pack four side sealed sachets into carton fed in continuous web form, by an upstream sachets machine, working on 4 lanes.